A GoFundMe page depicts William Tisdale with his grandchildren. This week news organizations raced to report how the recent Texas school shooting drove an influx of donations to a crowdfunding campaign to finance a stem cell treatment for the husband of one of the victims. But was that the real story? 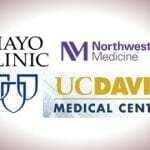 Readers weren’t told that stem cell treatments promoted by unregulated for-profit clinics to desperate patients such as Tisdale haven’t been proven safe or effective in treating idiopathic pulmonary fibrosis (IPF), an incurable lung disease with which he was reportedly diagnosed. In fact, the treatment might even kill him, said IPF experts. “I’m very disappointed because the media should have seized the opportunity to communicate the truth, and they didn’t do that,” said Marliyn Glassberg, MD, a researcher at the University of Miami who investigates the use of stem cells for incurable chronic lung diseases. Her research is funded primarily by private foundations. Two patients in Florida were reported to have died of pulmonary embolisms when injected stem cells harvested from their belly fat formed clots in their lungs, Glassberg said. She said efforts are underway to quantify deaths from unregulated stem cell therapies by gathering voluntary reports by families to state medical boards, but the process is difficult because the clinics aren’t run by bonafide doctors, and their medical records are poor. “The deaths need to be publicized,” she said. 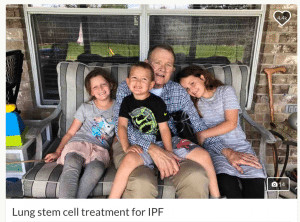 Gregory Cosgrove, MD, chief medical officer of the Pulmonary Fibrosis Foundation, said the foundation is aware of IPF patient deaths from unregulated stem cell treatments. Cosgrove said there’s been “continued interest” in unproven procedures despite warnings against them, and the foundation’s medical advisory board is discussing an update to its 2015 advisory that patients and their families should be “skeptical about the usefulness of stem cell therapies” and participate only in approved clinical trials in which they would be closely monitored. “I don’t think there’s anything that would drive a physician to recommend stem cell therapies at this time, and there’s a potential of significant harm,” Cosgrove said. He suggested patients and their families visit the foundation’s web site for current information on treatment options. We’ve written about how crowdfunding campaigns amplify bogus marketing claims of unproven stem cell treatments, and how new stories often don’t examine these claims while providing publicity that inevitably generates more donations. In this case, it’s a particularly high-profile lapse, including some news organizations that have reported in the past on the dangers of stem cell treatments. 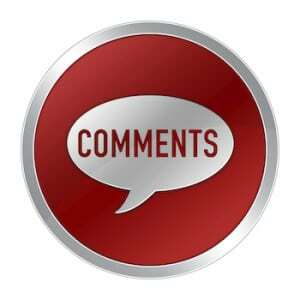 For example, the Washington Post recently published a lengthy expose on the growth of unregulated stem cell clinics. In an email, UC Davis stem cell researcher Paul Knoepfler, PhD, said some of the coverage was “overly simplistic and could do harm by encouraging others, including some with much less severe lung disease, to take risks. 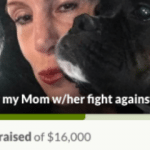 Yet several stories provided links to the family’s GoFundMe page, which might have come across to some readers as a tacit endorsement. Among them was NBC News, which focused only the couple’s love affair and did not mention the stem cell procedure. Such stem-cell treatments have exploded nationwide in recent years, but they are not scientifically proven. Federal regulators have not approved such treatments, and many skeptics call the clinics offering them snake-oil salesmen preying on desperate patients. Researchers say that although there are promising signs that stem cells may one day be used to treat intractable conditions and diseases, they are still years away from developing effective and proven therapies in most cases. Glassberg commended the Post for including that passage, but said even those cautions should have been more prominent and forceful. For example, she said, critics of unregulated treatments should be called “scientists” rather than “skeptics,” which conveys less authority. “I would have pitched this very differently,” she said. But the burst of news coverage apparently helped to propel that figure far higher. By this morning the campaign had raised nearly $140,000. The family’s initial target of $13,000 has been raised to $150,000. “The travesty in all of this is that a lot of well-intentioned people who are trying to do something meaningful and helpful, and their money is basically going to a company that’s based on a scam,” said University of Minnesota bioethicist Leigh Turner, PhD. Smithsonian's imbalanced stem cell coverage: Will it help dodgy clinics lure desperate patients? Wow. This article seems pretty insensitive to me. It’s like a kick in the gut to a family who has faced horrible tragities. I don’t know anyone who doesn’t know that stem cell research is a work in progress. It seems the man is currently living a painful life and is willing to risk his life to try to get some relief. Not sure why this doctor doesn’t understand that. Thank you for your comment, Jennifer. Certainly, all of the experts quoted here possess utmost sympathy for Mr. Tisdale and his family. Despite their tragedy, however, it’s important for the public, particularly other IPF patients and their families, to have the facts. As our sources tell us, stem-cell procedures of this type — performed by unregulated, profit-driven clinics — are not in fact the subject of legitimate research, and there is no basis to believe they could offer pain relief or any other benefit to IPF patients such as Mr. Tisdale. While some stem cell treatments may hold future potential, to call the procedures sought by Mr. Tisdale a “work in progress” doesn’t seem accurate. The news media should not parrot messages that create false hope and further the ability of opportunistic clinics to prey on desperate patients with procedures that are not supported by scientific evidence and may do harm.